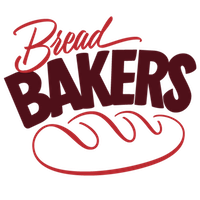 Woohoo another fabulous Bread baking event that I am glad to be a part of and ever-so ecstatic to be a part of this beautiful heart warming family of bread bakers. This month's event 'Hearty Fall Breads' is hosted by the lovely Wendy Klik of the 'A Day in the Life on the Farm'. Thank you Wendy for this lovely baking opportunity. I am so excited that I could dish out these breadsticks despite my doubts and apprehensions. Breadsticks in my opinion need to be nice and crunchy and shared over a big bowl of healthy soup. 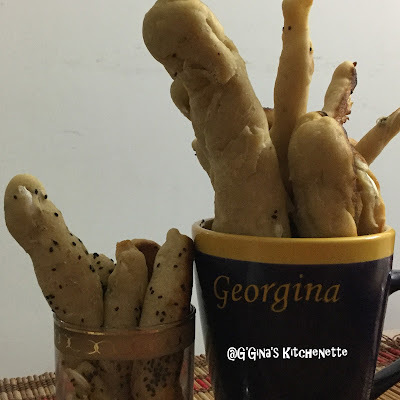 I made almost 3 batches of these breadsticks but the best ones are those that I rolled out thinner. Of course the thicker ones actually tasted better with some dressing/cheese even. So you can actually serve up two makes out of this recipe a thicker wholesome one and a thinner crunchier one. 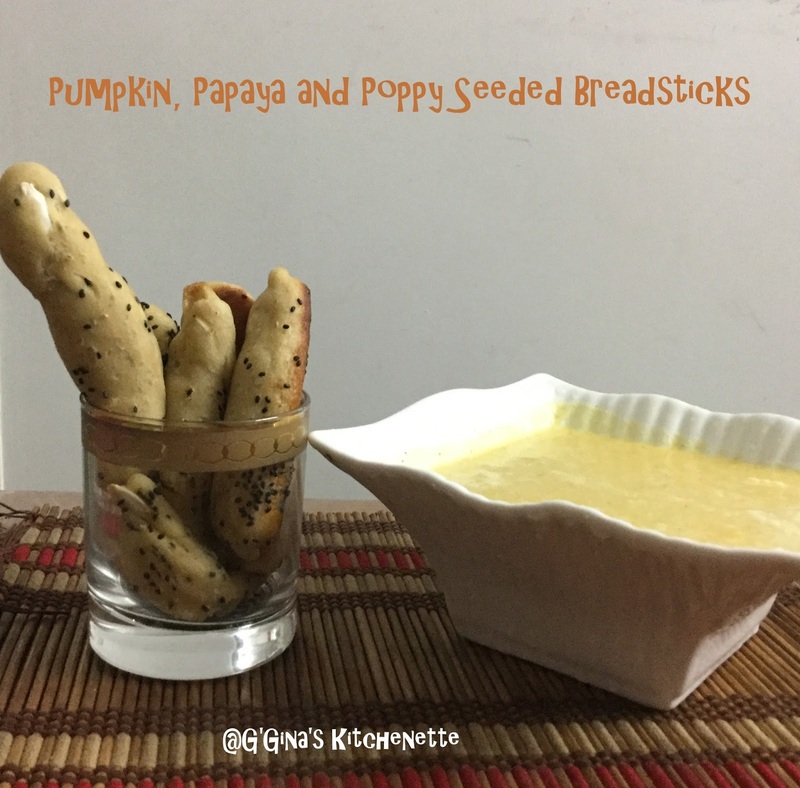 I served these breadsticks with Chef Donna Hay's 'Roasted Pumpkin soup' for the soul. 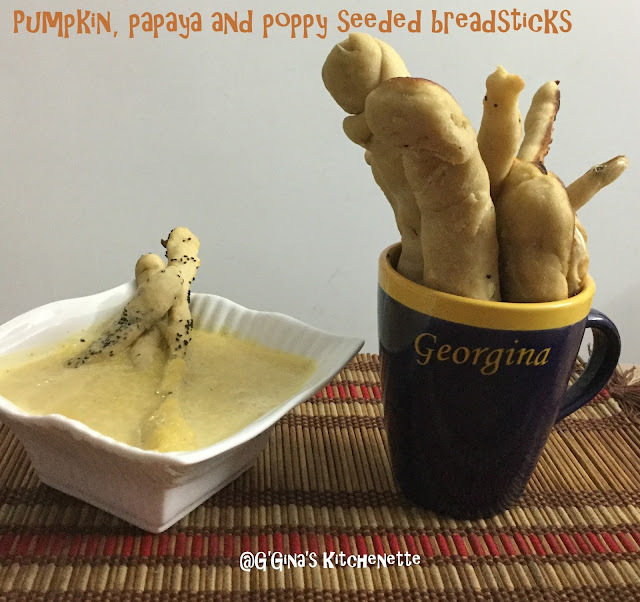 What's best was when I made these breadsticks and soup, it was heavily raining and there was this chill in the air. If you have followed my earlier recipe on 'Papaya Pudding', I did mention how Mum had planted these amazing Papaya seeds which then gave its first crop just a month ago, I saved the seeds off this Papaya fruit that Dad shared with me. I have added these seeds in the bread. So I am super glad that these breadsticks turned out the way they did. 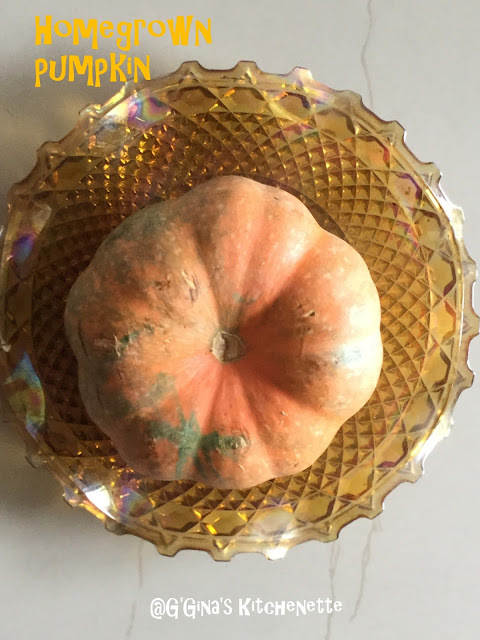 The Pumpkin is also homegrown and was shared by Dad. I love being so close to home where I can get to taste all of Mum's and Dad's fresh grown produce of fruits and veggies. 1. In a small bowl, combine both the dry active yeast and the sugar and 2-3 tbsp of lukewarm water to mix well. Allow to activate and if it does not fluff up, then use a new batch of yeast and repeat. 2. In a large mixing bowl, combine both flours, salt, the proven yeast and knead. Then add some lukewarm water and knead to a sticky albeit mouldable consistency. 3. Allow to rest in a dark, warm place for an hour in a well-oiled bowl and cover with cling film or until the dough almost doubles in size. My oven or microwave oven is almost always a sure bet esp. in cold weather when I preheat my microwave for a minute and then allow the bowl to sit in the switched off, preheated oven. 4. Meanwhile dry roast the papaya and pumpkin seeds separately. 5. Sprinkle some white flour on a clean surface, place the doubled up dough and punch out the air off the doubled up dough. 6. Knead the pumpkin and papaya seeds into the doubled up dough. 7. Line a baking tray with some parchment paper or brush some oil onto the surface of your baking tray. 8. Grease your palms with some oil and keep a bowl aside with some oil to repeat in between rolls. Roll the dough into breadsticks between your palms in horizontal manner to the thickness you prefer, to avoid the dough from lengthening and breaking off on its own. Place the palm-rolled dough onto the baking tray, leaving some gaps between each piece allow room to rise. 8. 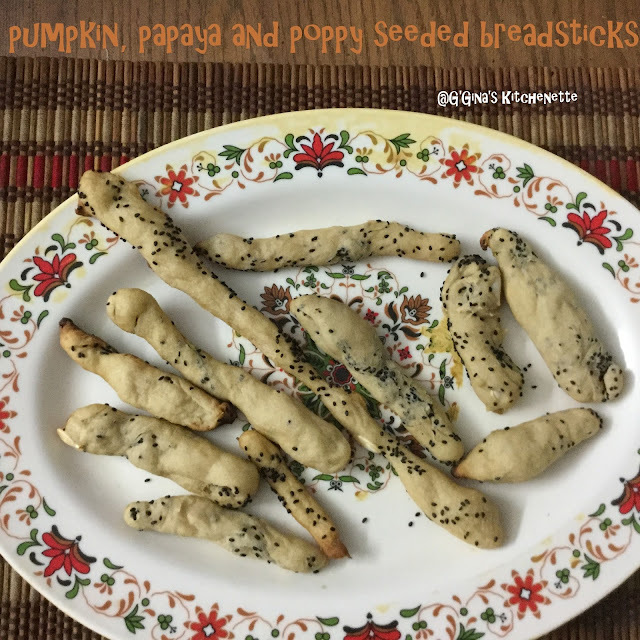 In a smaller bowl combine some olive oil and the poppy seeds and brush over the rolled dough pieces. 9. Preheat the oven to 180°C and place tray in the oven for 15-20 minutes. Keep a close watch between batches to avoid any burning. After the first batch, the subsequent batches would require less than 15 minutes. Serve this up with your favourite soup or in my case this time was the Roasted Pumpkin soul for the soul. Nice flavor combination with pumpkin and papaya. What a great recipe! I would love to have access to papaya like that! Thank you Julie. Wish we were near to share the produce. There is always a good supply of papaya and other fruits, veggies and herbs at my parents' place and a few at my in-laws' place as well. 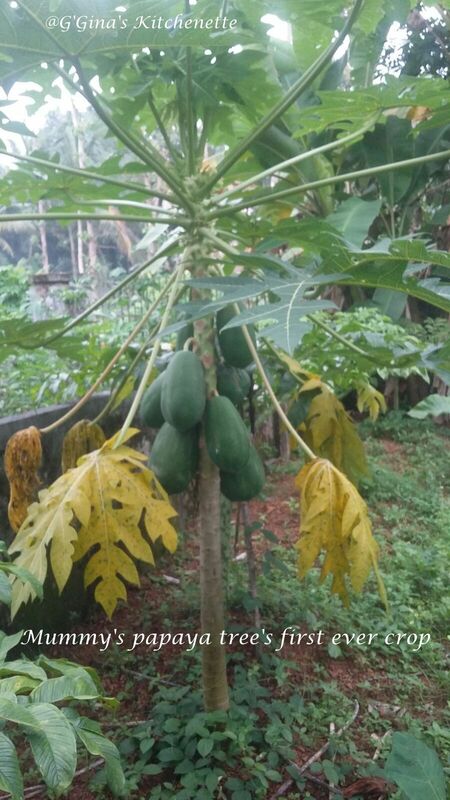 Papaya grows in almost all homes here :) People do need to value it more though. It has umpteen benefits. I like that you can make these to taste, crunchy or soft. Perfect because I like soft and hubby likes crunch. Hehe same here. Though my hubby prefers the soft and I prefer the crunch. I never knew you could eat papaya seeds! I have to try them. Nice recipe! Thanks Mary. Oh yes you can eat it and it has a world of benefits. The papain enzyme in the seeds helps to break down undigested protein in the body as well as helps get rid of parasites from the body. It is also used to treat Liver Cirrhosis. I think there is also a tablet that contains the papaya seeds content to do both of the above and others. Only pregnant and breastfeeding mums must not consume the same. I envy your fresh, home-grown produce. You've made a lovely meal with soup and breadsticks! Home grown produce are the best.Would never have thought of using papaya seeds. I just throw them away!. I did too till I learnt of the health benefits. Now I use it whenever possible. I have two recipes coming up where I introduced the seeds as well. 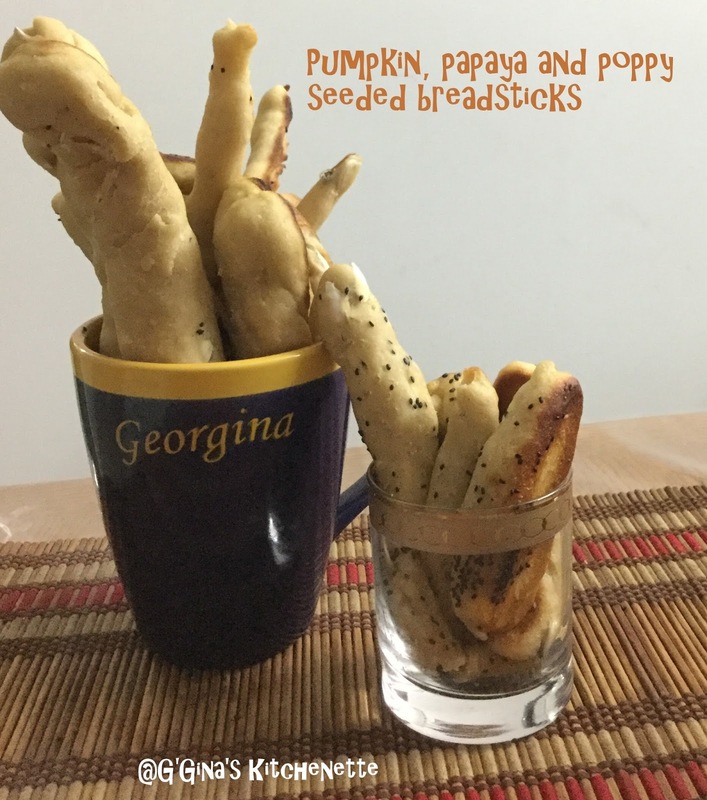 This bread sticks look wonderful with all the different seeds. We used to have a papaya tree back home in India. Your pic reminded me of it. 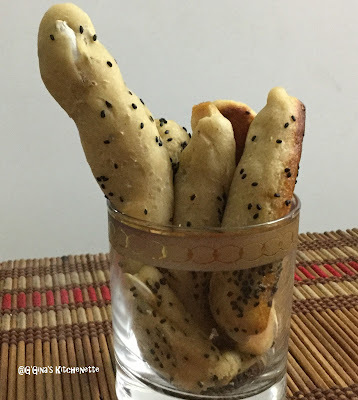 Adding papaya seeds to the bread sticks is very interesting.